Seen from many parts of the city. 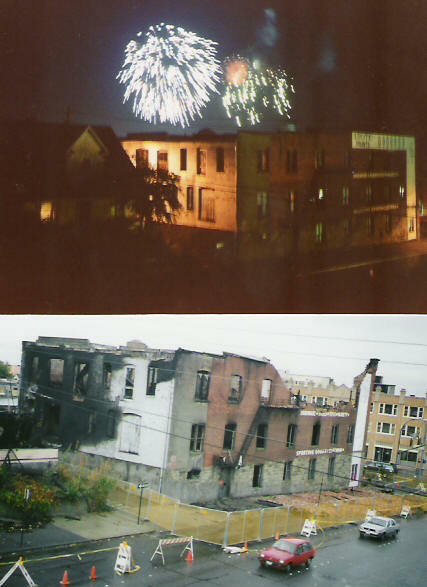 One year, fireworks could be viewed above old Yeager's warehouse building. A few years later, that building burned for an unrelated reason. On another note: Congratulations to NASA for the smashing success of Deep Impact mission to that comet.